Hi everyone! We have a new issue starting today over at Paper Issues, Admit One. 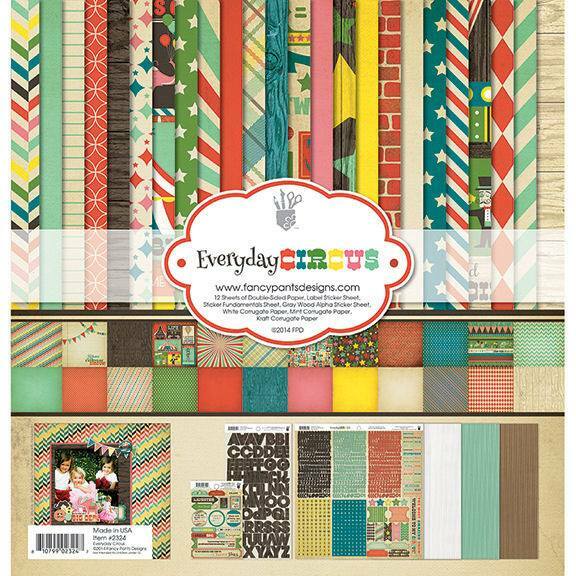 Our sponsor for this issue is Fancy Pants Designs and I was super excited to work with the Everyday Circus Collection. Since it's the first day of school for my little first grader today, I went with a school theme. I love the versatility of this collection. There are lots of circus embellishments and patterns but the papers could be used for just about any theme. 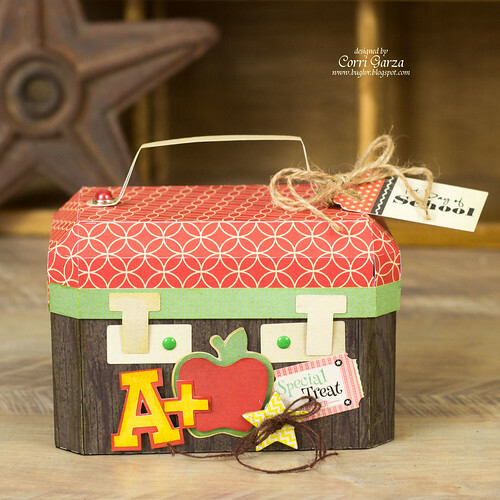 I made this cute train case from the SVG Cuts - Summer Holiday SVG Kit (affiliate link) and embellished with an apple and A+ from the School Days SVG Kit (affiliate link). This would be so fun filled treats for the teacher on the first day of school! Head on over to Paper Issues to link up your projects for a chance to win the Everyday Circus Collection from Fancy Pants Designs! Such a cute little box! I bet they loved it!! !